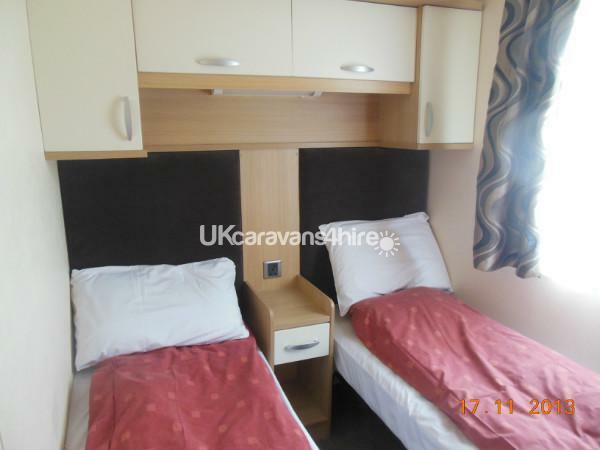 £100 damage deposit will be required in addition to the price of the caravan let. This will be refunded if upon inpection no damage has occurred. 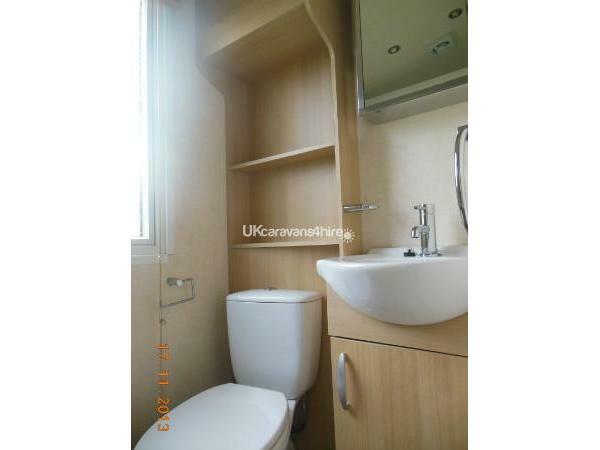 If the caravan requires additional cleaning over and above the normal required, then any extra costs incurred will be passed onto the guest. By booking the caravan, you agree to the terms above. Please detail the number of Adults and children in your party. Thank you. 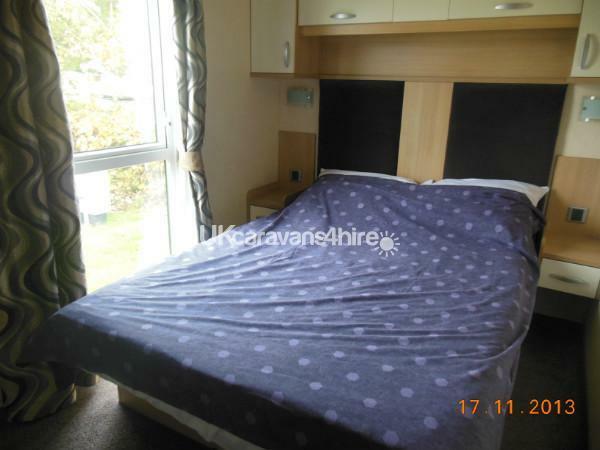 Situated on Cader Idris this caravan is rated as 'Prestige' by Haven. With Central Heating & Double Glazing it is perfect whatever the weather! 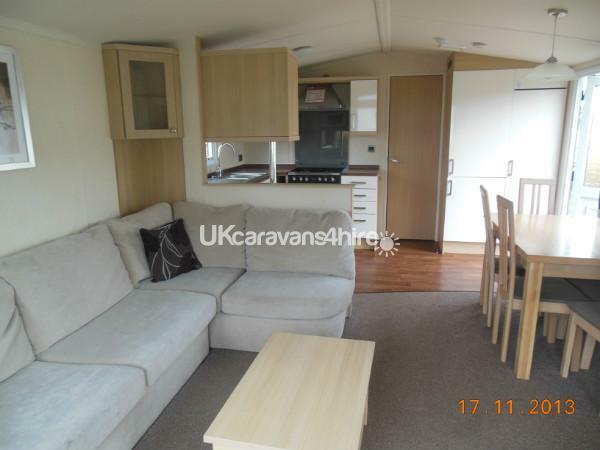 It has a spacious Lounge area with free standing soft furnishings and free standing dining table and chairs. 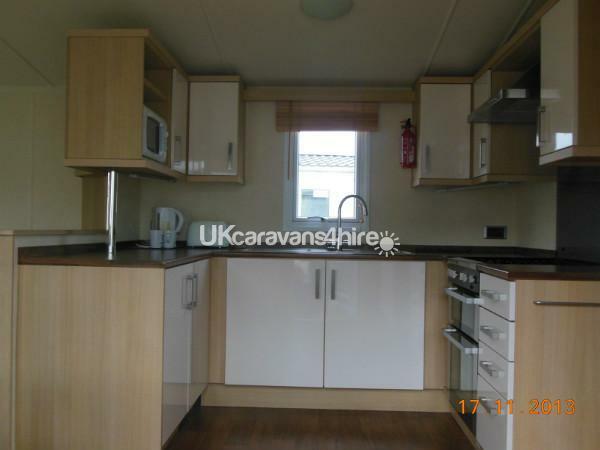 The caravan boasts a very well equipped kitchen with full size fridge/freezer, large oven with extractor hood. There are front opening french doors - leading onto wraparound decking. It has one double bedroom and 2 twin beds. 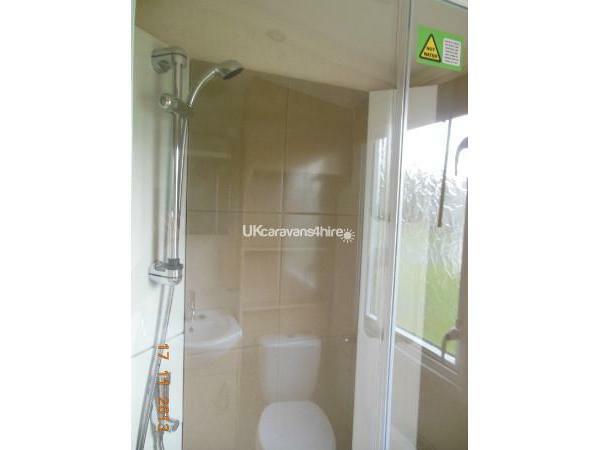 The caravan boasts a double sized shower room with power shower, toilet, sink and plenty of storage space and separate 2nd toilet. You will find a patio garden furniture set, Travel Cot, High Chair, vacuum cleaner, books, DVD's and games also available. Prices are for the hire of the caravan. • A Non Refundable deposit of £100.00 is required to secure your booking, with the balance due 6 weeks before the holiday. If the booking is within 5 weeks, then the whole amount is payable at the time of booking. • A Refundable damage deposit of £100.00 is also required in addition, which will be returned within 14 days after your departure date, providing no loss or damage has occurred. • Check in time from 3pm. • Check out time by 10am. • Sheets, duvet covers, pillowcases, towels and tea towels are NOT provided. • All duvets and pillows ARE included. • Funworks passes are not included. These can be purchased directly from Hafan Y Mor Reception on the day of your arrival. Under 4's do not require a funworks pass. 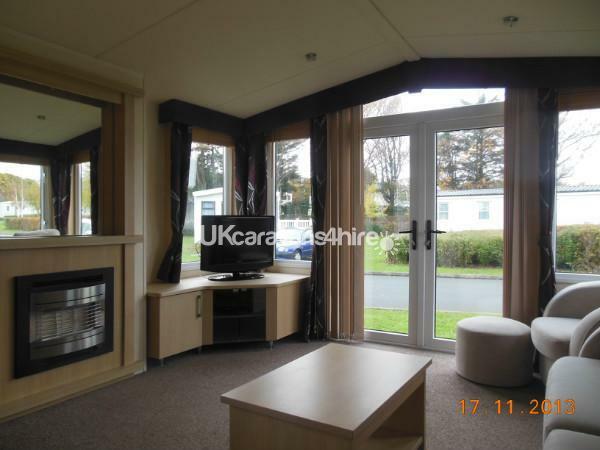 Spot on caravan in a fantastic position on a excellent site. Kerry was very good to deal with,always very prompt to answer any e-mails,making the booking stress free. A very enjoyable holiday. Had a lovely week the position of the caravan is perfect close enough to the pool,clubs but when sitting on the balcony you get peace :) the booking process was made simple and processed quickly. Will be recommending to family and friends and using again myself in the future. Had a fab time staying in a fab caravan with great communication by a very friendly owner, who was by the way one of the only owners who bothered to return my call at the pre-booking stage to discuss my holiday requirements. Could not have asked for more. 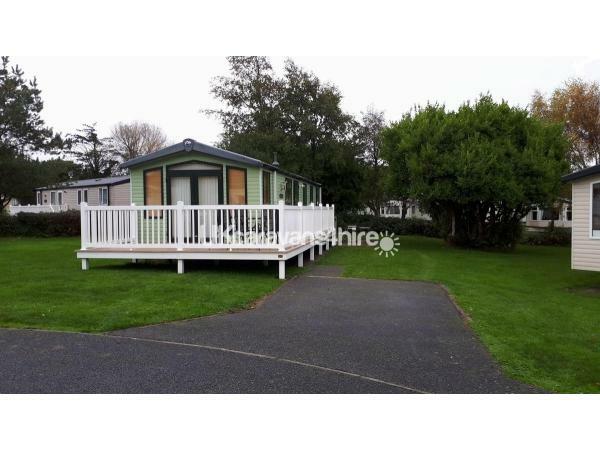 We had an absolutely superb stay in this caravan in mid July 2016. We have holidayed at Hafan y Mor many, many times previously and so we know the site extremely well, but this was the first time we had ever booked accommodation directly with an owner. We have to say that the owners were extremely professional and pleasant to deal with at all times and they made the whole booking process extremely easy. A £100 returnable security deposit had to be paid prior to the stay, which is quite understandable & is something we totally agree with, & this was returned by cheque shortly after the conclusion of the stay. 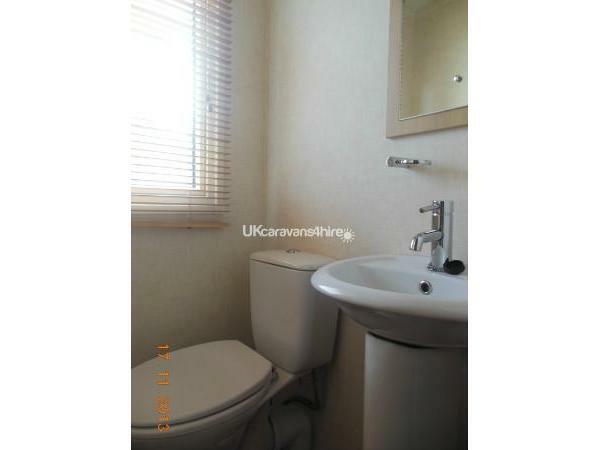 The caravan itself was extremely well equipped and clean and tidy throughout. It was very comfortable and there was nothing lacking whatsoever. We particularly liked the front French doors and balcony/decking area, which we have never previously had when booking directly through Haven themselves. The caravan is situated in Cader Idris View, a lovely corner of the park which is quiet and very well maintained but still very handily situated for all camp facilities. The Lleyn Peninsula is an absolutely stunning 'area of outstanding natural beauty' with many, many brilliant places to visit & you will comfortably run out of days left in your holiday long before you run out of places to go. 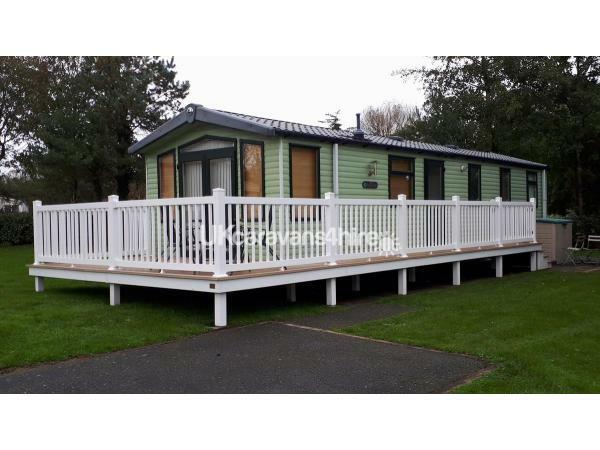 In summary, we were extremely satisfied with this caravan & we would highly recommend it to others. We definitely hope to stay here again in the future.